If you are a Christian homeschooling in Alabama or the surrounding areas, this is an event you do not want to miss! We are thrilled to be coming to Mobile for the second year! 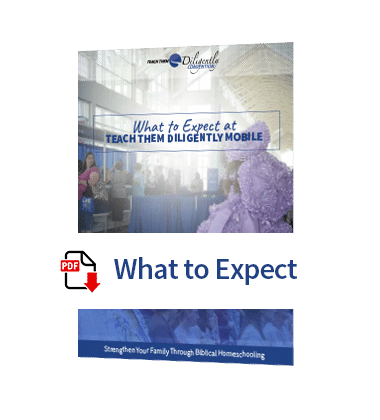 Last year tens of thousands of people attended Teach Them Diligently Conventions across the U.S. and we’re already looking at great turnout in Mobile this year! Book your stay with the Mobile Convention Center now and save!